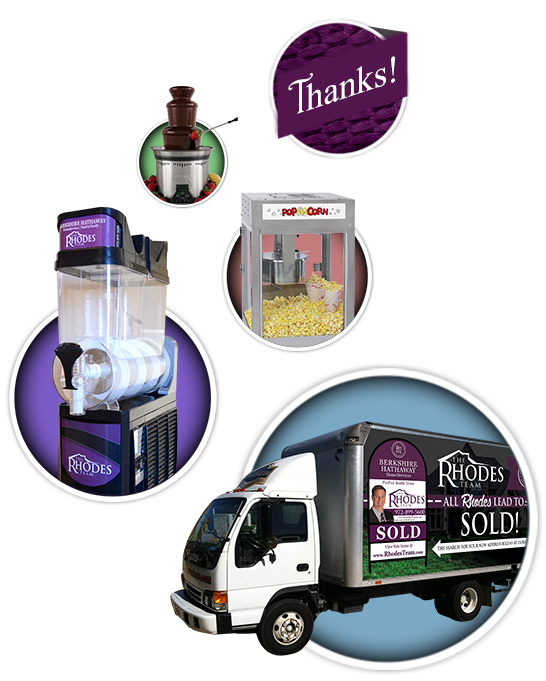 Our business truly revolves around YOU! It is our first priority to ensure that each and everyone of our clients receive first class service before, during and after their transaction. In an effort to show our appreciation for the trust and success that YOU, OUR CLIENTS, have afforded us, we have created our Client Appreciation Program. This program is designed for our most valuable assets, our CURRENT and PAST CLIENTS & as long as we remain your realtor, you have access to these benefits. Your Realtor for life, our Client for life! To reserve an item, call us today at 972-899-5600. Please note, items are subject to availability.